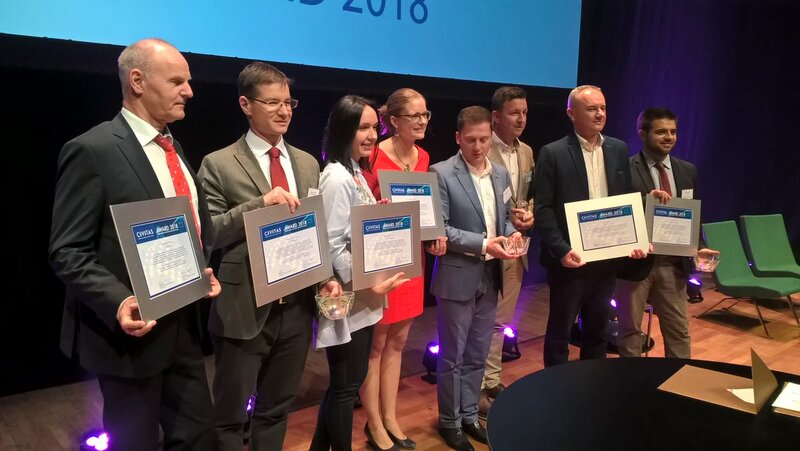 Eight European towns and cities were revealed as the winners of the CIVITAS Awards 2018, Europe’s most prestigious prizes for clean, urban transport. The announcements were made during a lavish ceremony on the second night of the CIVITAS Forum 2018 in Umeå, Sweden towards the end of September 2018. The select group were recognised for their ambitious, innovative and transformative sustainable urban mobility work in four categories. Three prizes were chosen by a five-person jury of mobility experts, public officials and media, and the fourth by the CIVITAS Political Advisory Committee (PAC). The "Bold Measure" Award was given for a daring and innovative approach that has yet to be widely implemented and which positions the city as a pioneer in its respective thematic area. The winner was Ghent (Belgium), whilst the runners-up were Aachen (Germany) and Vinnytsia (Ukraine). The “Take Up” Award is given to cities that have successfully transferred their knowledge and sustainable urban mobility measure(s) to another town/city. The winning city was Reggio Emilia (Italy). The “CIVITAS Legacy” Award recognises cities that have successfully translated their inspiring and committed involvement in CIVITAS into long-term implementation of innovative measures with a high impact. In this category, the city to triumph was Szeged (Hungary), with Izmir (Turkey) as the runner-up. The “Transformations” Award recognises significant transformation and progress towards a liveable and smarter city through an integrated set of mobility measures. The winner of this award was chosen by the CIVITAS PAC. Banja Luka (Bosnia and Herzegovina) was selected as the winner. Tirana (Albania) was the runner-up. For full information on the winners, read the CIVITAS Awards 2018 press release below.